IAS Group is a specialist in the export of industrial food ingredients and has over 30 years experience in supplying American food products to over 47 countries worldwide. Through our sister companies American Foodservice Concepts and Al-Khayrat International USA inc, IAS has succeeded in being active as a supplier and a foodservice operator. Back in 1996, we created a American bakery concept that we successfully marketed in a number of countries under the Planet Donut banner. Our Group’s familiarity with food ingredients and with the export process has been instrumental to our success in developing our various hospitality concepts. 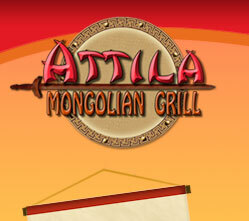 The Attila Mongolian Grill (AMG) concept is the latest addition to our family of American inspired casual dining outlets and is the culmination of those years of experience and the new direction that our foodservice activities are taking. The first such outlet was first launched at the prestigious Villagio Mall in Doha, Qatar, where it quickly proved its viability against much longer established food court eateries. This led to two additional units that are being opened simultaneously in that market. Next was the penetration of the Syrian market, a not so simple market to break into, but yet a very telling indicator of the resilience of the AMG restaurant concept. Two units are now being opened in that market, that led to the earmarking of the first restaurant in the neighboring and most visible market of Lebanon. It is expected that within the coming 2 years, over 15 AMG restaurants will be in operation in the Mena region. Mr. Suhayl Sauma, the Chairman and CEO of International American Supermarkets Corp is no stranger to the export world. 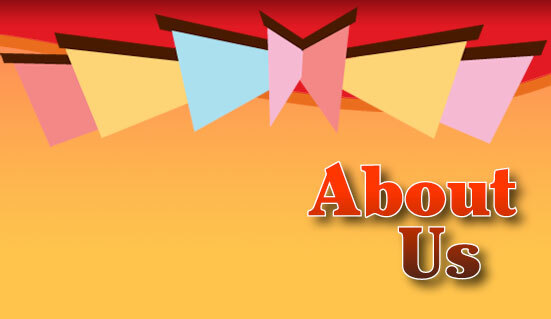 He is the founder of the IAS Group and has over 37 years of food trading experience. Mr. Sauma brought together a number of skilled executives in the field of supermarket and foodservice supplies who helped branch the Group’s activities into new markets like those of Eastern and Central Europe and into new activities like concept development and restaurant operations. Suhayl has travelled extensively and regularly to all the markets where IAS Group conducts business and developed over the years strong strategic alliances with local importers, manufacturers, retail chains and restaurant operators. Mr. Sauma is the recepient of an award from the Foreign Agricultural Service of the U.S Department of Agriculture for the innovative work that he created and the inroads that IAS has achieved in the field of American food exports. Mr. Pierre Hatem, the President of AFC Corp is the group’s specialist in foodservice supplies and industrial ingredients. In a career that spans over 20 years in the food business, Mr. Hatem was at one point a food manufacturer, an equipment importer and distributor and an industrial food ingredient specialist. Pierre has been instrumental to taking the Group’s business to every Central European market, and has extensively travelled and lived in a number of his key markets overseas. He has recently opened a regional office in Cyprus for the company’s business in the Eastern Mediterranean and beyond. During his long and brilliant career, Mr. Hatem has structured supply arrangements with leading American restaurant chains like Pizza Hut, Burger King and McDonald’s in the emerging markets of Eastern Europe. His recent focus on AMG’s franchise operation will allow the concept to secure supply and ingredients through a sophisticated network of both regional and American based manufacturers. Mr. Mohamed El-Waylly is an executive with 25 years of successful experience building the Middle East market and generating record profitability in this highly commutative region. He has an extensive track record in new concept launching , market development and in creating significant market presence. Mr. ElWaylly has proven capabilities to identify and explore business opportunities and establish and maintain market share. He is the AMG concept developer and menu creator. He single-handedly put together the AMG restaurant vision and placed it under the Group umbrella . Mr. El-Waylly is the President of Al-Khayrat International USA Inc that specializes in the supply of center of the plate ingredients to restaurant chains in the MENA region. He is a specialist in poultry and meat export to the Gulf and has worked with South American based producers to customize products for our markets, including formulation, cuts, sizes and Halal certification. Mr. El-Waylly has lived and worked extensively both in South and North America as well as in the Gulf region. He has over 25 years of experience behind him and has developed a network of distributors and operators in every MENA market. Mohammed brings a wealth of market and product knowledge to our franchisees.